Family Preschool is pleased to offer a Parent/Child yoga series with local-yogi Rhonda Bangert starting January 2018! Join us on Friday afternoons from 12:45 p.m. to 1:15 p.m. to practice yoga with your child(ren) in a peaceful, community setting. When: A six-week series meeting every Friday from 12:45 p.m. to 1:15 p.m., January 19 until February 23.
Who: Students at Family Preschool and the surrounding community are invited to join the series. Rhonda welcomes parents wearing their babies or in strollers. Why: Parent/Child Yoga is a communal event drawing families together and fostering a high level of participation between parents and their child(ren). Special Note: Living in a world dominated by technology, it is important to prioritize time to be fully present in the parent-child relationship. We ask that you take this time to leave cell phones at the door. To Register: Email Director@FamilyPreschool.org to register. 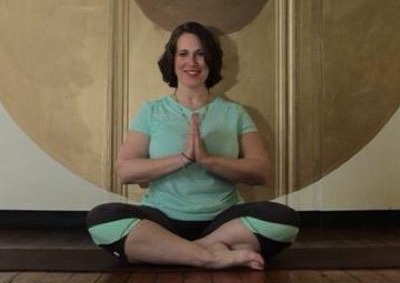 Since 2006, Rhonda has explored different yoga traditions and enjoys the ever expanding yoga universe. Rhonda is an energetic and attentive teacher. The enthusiasm she brings to class is contagious and her students report feeling relaxed and alert in class and after.